David Kuo is the Ontario Head of Branch Network of HSBC Bank Canada. As the regional retail network executive for HSBC, he oversees Ontario’s 49 branches with around 650 employees. David started his banking career in 1995 and has progressed through the ranks from an entry level position to a financial advisor, a marketing manager, a branch manager of various locations and sizes and, in 2007, to the position of District Vice President managing a group of branches. In 2012, he was promoted to the current position and has been a key contributor to the success of HSBC Bank in Canada. He currently sits on the Executive Committee of Retail Banking and Wealth Management of HSBC Bank in Canada. David takes interest in developing his people. He is the Executive Sponsor of HSBC’s Y-Knot Employee Resource Group, which provides support to junior employees in the Bank for their career development. He is also a member of the Bank’s Diversity & Inclusiveness Council. David has devoted a great deal of his personal time to community work, which dates back to his university years. 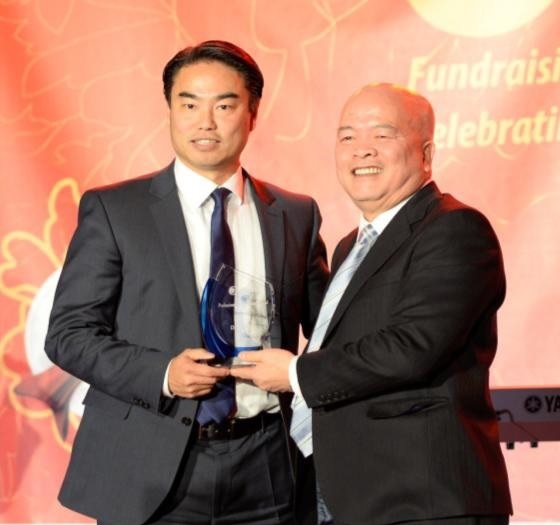 He was the founding President of the Chinese Canadian Youth Athletics Association, an organization that has been active for the past 20 years with weekly youth programs and annual scholarships, and has served as President of the Taiwan Entrepreneurs Society Toronto. He is currently involved in a number of non-profit organizations and often leads local HSBC teams in participating in community initiatives. In 2010, David was appointed by the Ontario Government as a Board Member of the Ontario Tourism Marketing Partnership Corporation. He was a recipient of the Queen’s Diamond Jubilee Award in 2012, the Ontario Volunteer Service Award in 2012, and the Canadian Chinese Legend Award in 2013. David is married to Patricia, with two sons Matthew and Derek.